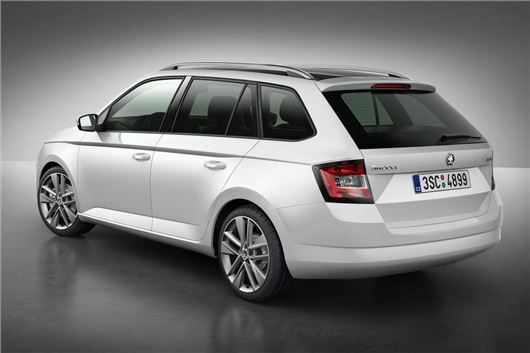 Skoda has revealed the all-new Fabia Estate ahead of its debut at the 2014 Paris Motor Show. Called the Fabia Combi in Europe, the new model is up to 17 per cent more efficient than the outgoing car and has emissions from 82g/km. It will go on sale in early 2015 and should be priced from around £12,000. Skoda claims the boot is the ‘largest in the segment’ at 530 litres, expandable to 1395 litres by folding the rear row of seats. There is more storage space in the cabin than in the outgoing car, with extra bottle storage, plus a waste bin and various nets and cubbies. There’s a range of Skoda ‘Simply Clever’ touches too, including an ice scraper in the fuel filler cap. The engine range consists of six options. There are three petrol options without power outputs from 75PS to 110PS, plus three diesel engines with outputs from 75PS to 105PS. New technology includes a new infotainment system which pairs with your phone and gives access to apps in the car. There’s also gadgetry normally reserved for larger cars, including automatic wipers and keyless entry.